With a sleek, ultra slim design the 4smarts VoltBeam Qi Dual Wireless Charging Pad is a fantastic space saving way to charge your devices at your desk, office or at home. Designed for quick and intuitive charging, this pad allows you to charge any Qi enabled device without the mess of cables. 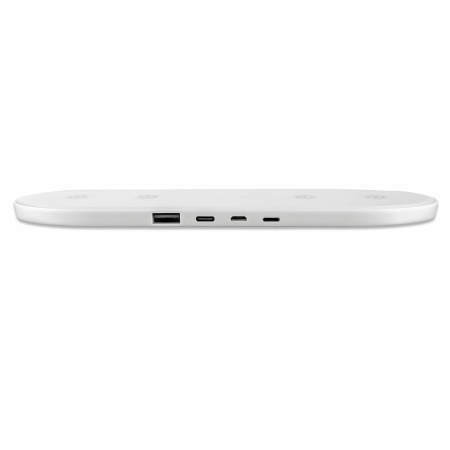 Easily charge two Qi-equipped devices simultaneously using the Dual Wireless Charging Pad, and have another plugged in through the VoltBeam's built-in USB-A port. PLEASE NOTE: The product requires a cable and a fast charger that supports either Qualcomm Quick Charge or Samsung Adaptive Fast Charge (sold separately). 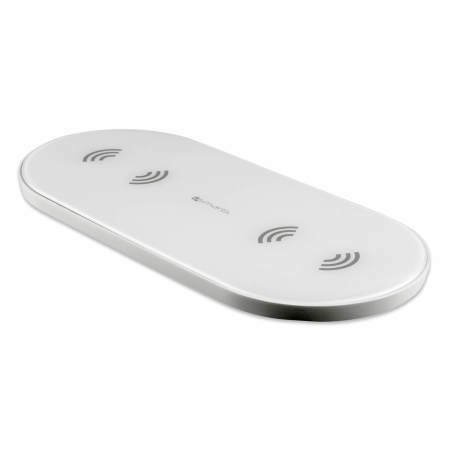 The 4smarts Dual Wireless Charging pad is a perfect fit with any wireless charging device. Quick and simple to use, this dual wireless charger also features an ambient LED display, which indicates your devices charging status by lighting up when charging and changing colour when the battery is full. So in an instant you can know when your phone is fully charged, just by looking at it. With the 4smarts VoltBeam Dual Wireless Charging Pad you can also charge a third device via its handy USB charging port. Why miss out on wireless charging when you're on the move? This charger is slim and lightweight enough to slip into a backpack, handbag or any storage method you like - perfect for charging all of your devices when going on holiday, visiting friends and family or just moving from room to room in your house. 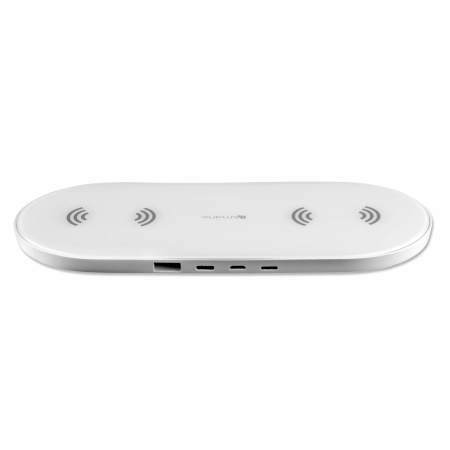 4smarts wireless charging pads are manufactured to Qi standard. Qi is the sign of interoperability between power transmitters and power receivers. This means that if your phone doesn't have built-in wireless charging, you can use one of the Qi adapter solutions to convert your phone to wireless charging supported by this pad.